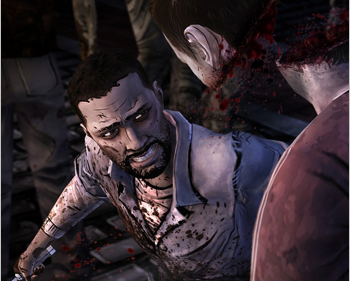 John Rau has called for 12 games to be examined, including The Walking Dead and The Walking Dead: Survival Instinct. South Australia's Attorney General John Rau has already gone on record saying that the new classification rules are a bit too soft on games, potentially exposing kids to violent or sexual content. Now Rau has his wish. Twelve titles are to be reappraised, including Killer Is Dead, Alien Rage, Tom Clancy's Splinter Cell Blacklist, Deadly Premonition The Director's Cut, Company of Heroes 2, God Mode, Borderlands 2 Add-On Content Pack, Fuse, Deadpool, The Walking Dead, Gears of War: Judgement, and The Walking Dead: Survival Instinct. The reviews will take place later this month and in December, as the Classification Review Board decides the games' fate. "The review is an unwarranted and costly exercise to satisfy a vocal yet unrepresentative minority," complains Ron Curry, CEO of The Interactive Games and Entertainment Association. Curry points out that not a single complaint has been made about any of the titles' content; this is an exercise instigated by Rau himself. While Rau's complaint that the titles under scrutiny received M ratings from the ESRB and 18 from PEGI while receiving a lower rating from Australia has some validity, Curry points out that both ESRB and PEGI were established by the games industry, to industry standards, while the Australian version was established by the Australian government. "In fact, Australia is one of the few developed nations to have classification guidelines determined by Government," Curry says. Comparison to Europe or the United States may be out of place, he thinks, but take a look at New Zealand, which has a system much the same as Australia's; all the titles Rau complains of got a very comparable rating, often R16, or even R13 in the case of Company of Heroes 2. Curry estimates the total cost of the review - at $28,000 per decision - to be $336,000, a fairly hefty bill, particularly given that the whole exercise is a whim of Rau's.